Lighter and slightly smaller than its big brother, the Abel Switch reel was introduced to be the perfect tool for the burgeoning switch rod community. It will easily hold 5/6/7 weight Switch or Spey lines with plenty of room for backing, without adding excess weight. SPECIFICATIONS: Spool: Large Arbor | Weight: 8.5oz. 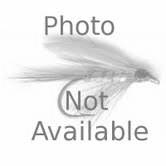 | Line Weight/Yards/Backing: 5/6/7 Weight Spey Lines | Diameter: 3.70in. | Width: 1.00in. Spool: Large Arbor | Weight: 8.5oz. | Line Weight/Yards/Backing: 5/6/7 Weight Spey Lines | Diameter: 3.70in. | Width: 1.00in.